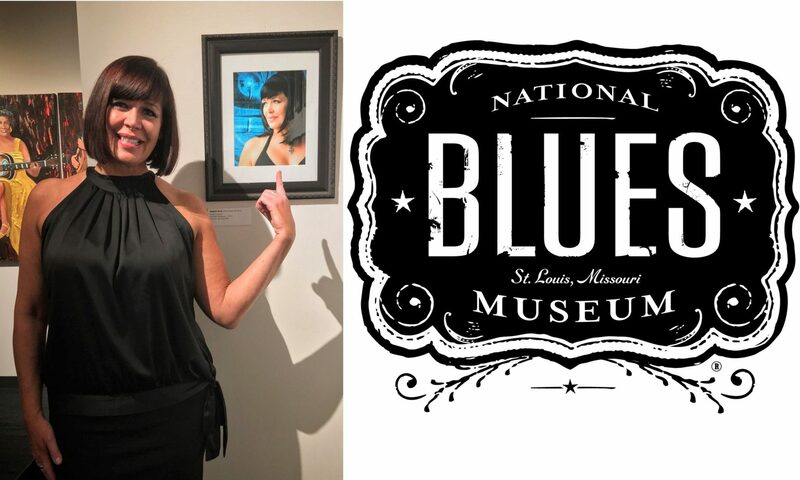 2017 started out with Markey honored by being included in the “Women of the Blues: A Coast-to-Coast Collection” exhibit at the National Blues Museum, located at 615 Washington Avenue, St. Louis, Missouri and goes from January 7 through March 31, 2017. Curated by Lynn Orman Weiss, founder of the “Women of the Blues Foundation”, this collection features over 70 photographs of blues women, from rising stars to legends. Over 20 photographers from around the world share their poignant and powerful images of extraordinary women; from intimate juke joints in the deep south to the Chicago Blues Festival and the Big Muddy Blues Festival in St. Louis, aboard the Blues Cruise on the high seas to renowned music events across the globe.